Lack of brand recognition and low targeted traffic can be major roadblocks for your crypto business development or successful ICO funding. HubDSP is a demand-side platform for digital advertising tailored to everything crypto. HubDSP will become your tool of choice to grow crypto traffic, boost your brand awareness, community visibility and, ultimately gain new partners and investors. Cross-platform crypto and ICO advertising. HubDSP gives you access to a highly targeted audience with interest in blockchain, trading, investment and finance, as well as a list of curated publishers to bring you the exposure you need. 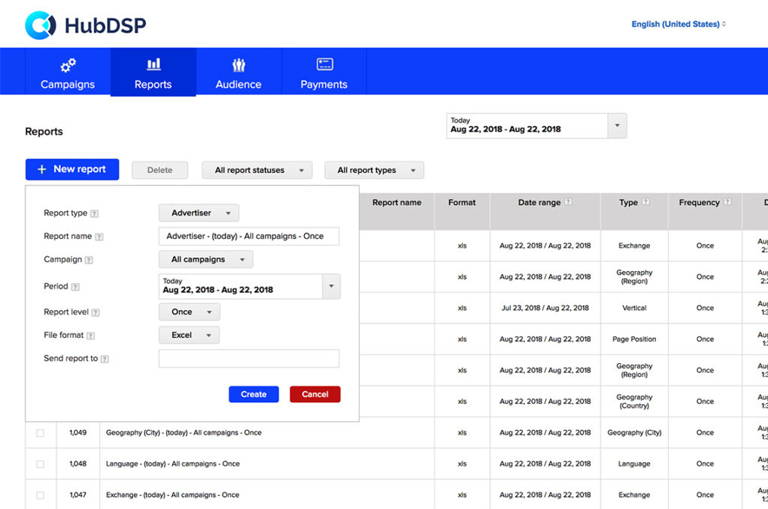 You can manage your ad campaigns, placements, budget and analytics from a single interface. Options include location, demographics, behavior, timing, and more. It takes a few minutes to set up your targeted campaign and start advertising to the crypto community. We only advertise on hand-picked, trusted websites and mobile apps. The platform features multiple ad exchanges and direct publishers for cross-channel buying. We assign an account manager to each of our clients to help them set up and manage their ad campaigns effortlessly. We developed HubDSP to be a flexible platform ready to accommodate the advertising needs of any industry. With a choice of over 10,000 active target segments, we can configure your campaign in line with your business targets. 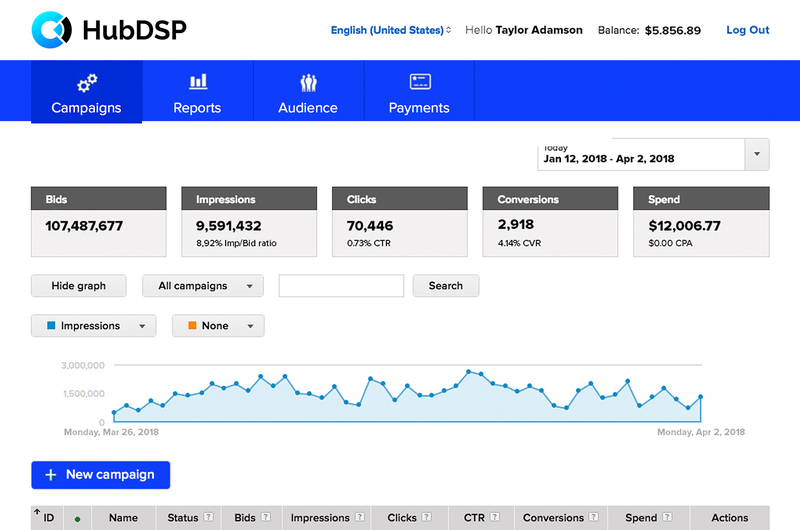 Get in touch to set up your first campaign with HubDSP.